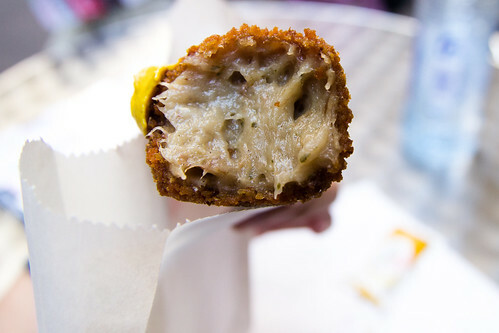 When people think about Amsterdam, food is probably not the first thing that comes to mind. 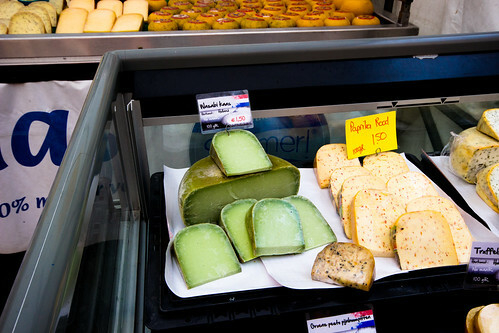 But as we've discovered, one doesn't really have to look too hard to find some gems in this city, often in the form of snacks. I was pretty hungry when we arrived in Amsterdam, so we strolled around our neighborhood in search of something to snack on. We happened by this snack bar called Ten Have (map), located in a small alleyway (of which there are many in Amsterdam) just a few blocks southwest of Amsterdam Centraal. 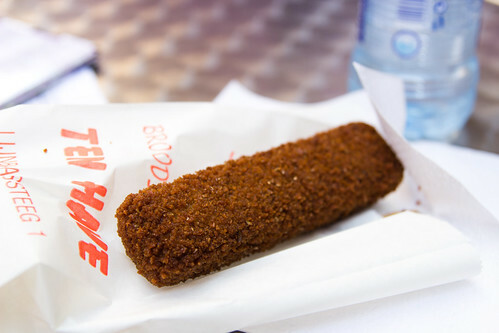 There, I ordered a kroket, a deep fried roll that typically contains mash potatoes and meat. Due to some language barriers, I had no idea what kind of meat was in this one, or if there was even meat at all, but whatever it was, it was quite tasty. 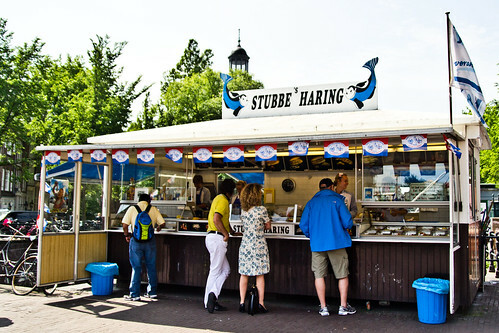 One place I did specifically look for in Amsterdam was Stubbe’s Haring Fish Stand (map), located on a foot bridge across the Singel, and happens to be on our way from Amsterdam Centraal to our bed and breakfast. 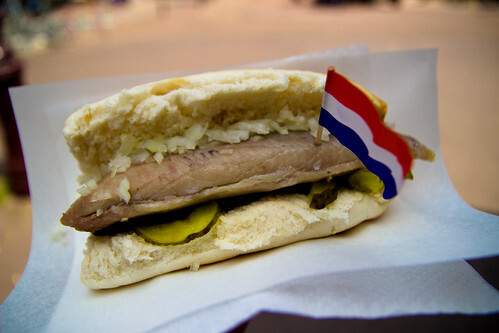 Their herring sandwich is supposedly good, so I just had to try one! 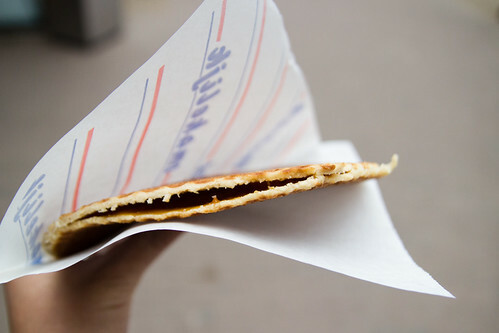 Another item I specifically looked for was stroopwafels. The first time I had stroopwafels was when a friend in the National Guard who had been stationed in Europe for a year brought some back home and I remember liking them a lot. During our trip, we found a little shop right in between the Van Gogh Museum and the Rijksmuseum that was selling fresh stroopwafels - yum! 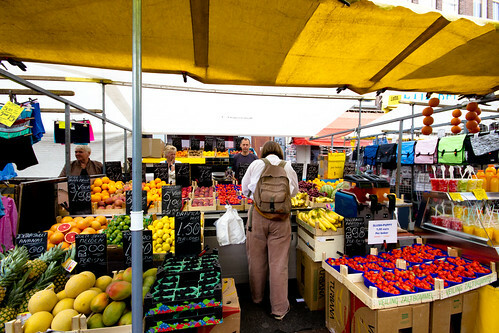 In an earlier post I had mentioned the Albert Cuyp Market (map), the largest street market in the Netherlands. It stretches several pedestrian-only blocks of Albert Cuypstraat and boasts over 250 stands selling anything and everything. Unfortunately, we didn't have time to explore the market fully, but we did stop by a few fruit, cheese, and spice stands to check out their goods. If I ever have the opportunity to come back to Amsterdam, I'd love to spend more time here. 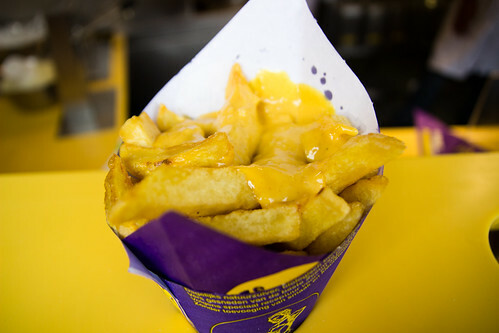 Finally, I had read that the Netherlands is known for its "vlaamse frites" or Flemish fries. On our first day in Amsterdam, we had walked by a Manneken Pis takeout window on Damrak (map). The chain was named after a famous statue in Brussels depicting exactly what the name sounds like. In any case, there had been a huge line at the window that day, so we made sure to come back on a quieter day to see what all the fuss is about. In addition to mayonnaise, there's about a dozen sauces to go with the fries. I picked the "joppiesaus" which is a pineapple curry sauce. The fries were pretty good, but it's the sauce that made them great. Can we get some joppiesaus in Pittsburgh, please? 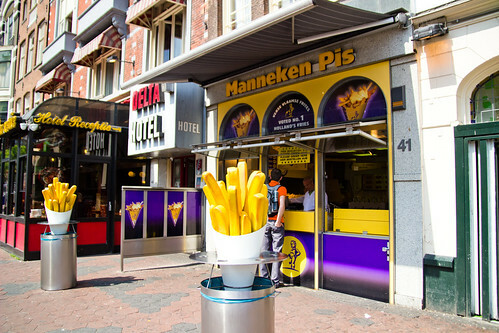 For a city that's known for putting fries on everything, I think a Manneken Pis-like shop would be a hit! 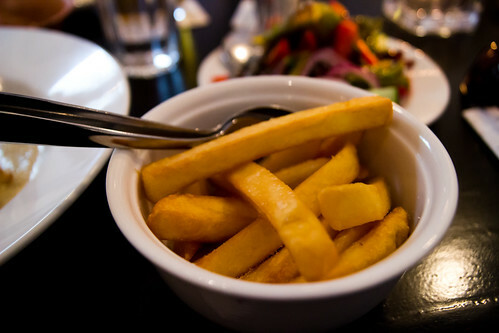 Some of the best fries I ever had, without any sauce, was at a small, family-run bistro in a residential neighborhood called Restaurant 't Stuivertje (map). The fries came with the meal, which wasn't bad, but the fries were spectacular - fresh and perfectly crispy on the outside, soft on the inside. These have definitely ruined my perception of fries since.